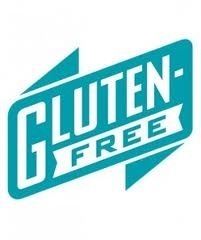 Looking for a restaurant or a store near you that is gluten free friendly? Maybe you want some great deals, events or the latest news in the GF world. *Now looking for guest blogger to add to content. Let me know if your interested in joining. For those you that are new to the gluten free world I wanted to help answer some of the common questions. 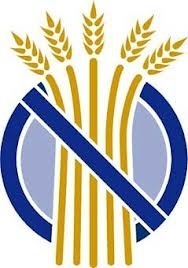 1.6 million are gluten-free for reasons ranging from celiac disease, gluten intolerance or a healthier life style. Gluten is a part of the protein in wheat that, when baked, gives the products a good structure and texture. Medical conditions relating to gluten remain the Number 1 most under diagnosed conditions in the US. The sudden increase in the number of people affected by the conditions is directly related to the amount of processed wheat products in our diets like pasta and baked goods that are made with ingredients that have higher levels of gluten. Celiac Disease causes an individual to have damage in the small intestine and can cause a large number of symptoms including abdominal pain, weight loss, fatigue, rashes, headaches, reproductive issues, irritability, anemia and much more. A more minor form of the conditions which is also rapidly being diagnoses is called gluten intolerance where the symptoms maybe similar but the overall effects are less severe. When gluten is removed from the diet, the small intestine will start to heal and overall health improves. Gluten is found in many foods that most people don’t realize. These include soy sauce, many sauces and soups, granola, some oatmeal, beer, meatballs, most processed meats, sausage, malt vinegar, twizzlers, salad dressing, baked beans, blue cheese, communion wafers, some medications and the list goes on. Unlike a few years ago, the gluten free resources are growing every day. Great products are easy to find in stores and on-line. Restaurants are learning how to adapt many items and are quickly learning safe prep procedures. With the Internet its become really easy to locate anything gluten free. All images were collected from Google. No copyright infringement was intended. I saw in my current issue of Gluten Free Living an article with your recipes .. Summer Camp Spread and was searching to see if you had it posted on your blog so I could send to my sis in FL. I am in IOWA..can be difficult to find quality foods that are GF. Was GLAD to find your blog. Thank you for a all the kind words. I care a lot about helping the community. I enjoy creat new and fun recipes to share with everyone!